Are you pumpkin-ed out yet? No? Good! 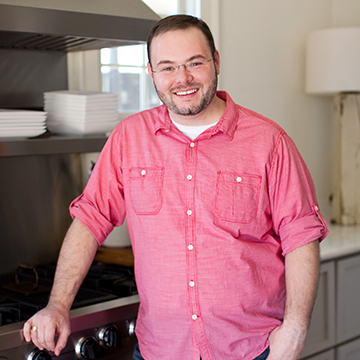 I’ve got another super easy recipe that you’re going to want to try. 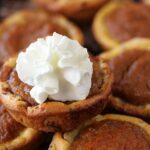 These Cinnamon Roll Pumpkin Pie Bites have a crust made out of canned cinnamon rolls for a super easy cup to hold that beautiful pumpkin filling! Not only that, but the cinnamon rolls add tons of flavor to these crunchy little bites! The hardest part of this recipe is cutting up the cinnamon rolls and pressing them into a muffin tin. Seriously. If you can do that, you can makes these. And something tells me you’ve got that covered. Start by opening up the cinnamon rolls – being cautious not to pop them open and scare yourself – and slice each one in half across. We want two thinner cinnamon rolls from each one. 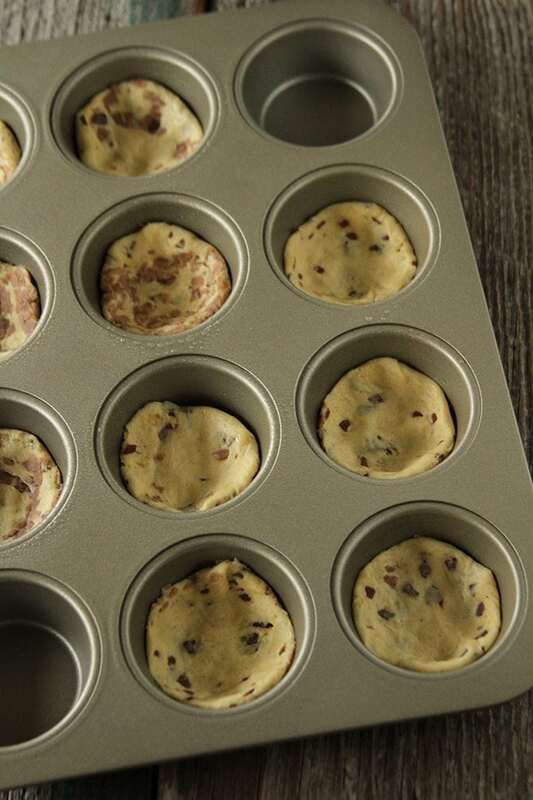 Next, press each half into the bottom of a muffin tin that’s been sprayed with nonstick cooking spray. You want to cover the bottom of each cup and up the sides about 1/3 of the way up – making a perfect little cup to hold our pumpkiny goodness. 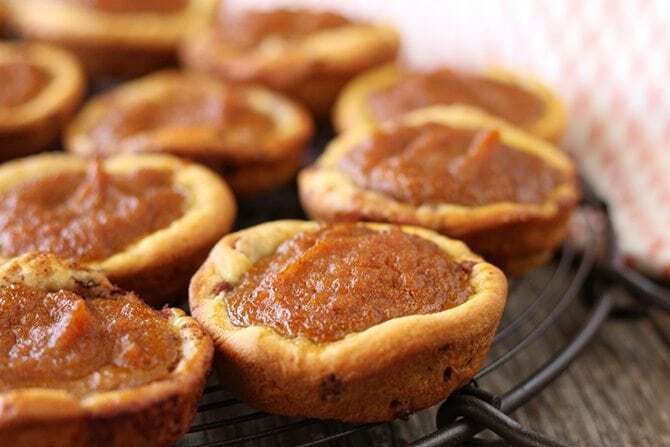 Then, you’ll mix together plain canned pumpkin (not canned pumpkin pie mix) eggs, sugar, vanilla, and pumpkin pie spice and drop a heaping tablespoon of the filling in each cup and bake until golden brown. Preheat the oven to 350°F and lightly spray the wells of a 12-count muffin pan with nonstick cooking spray. 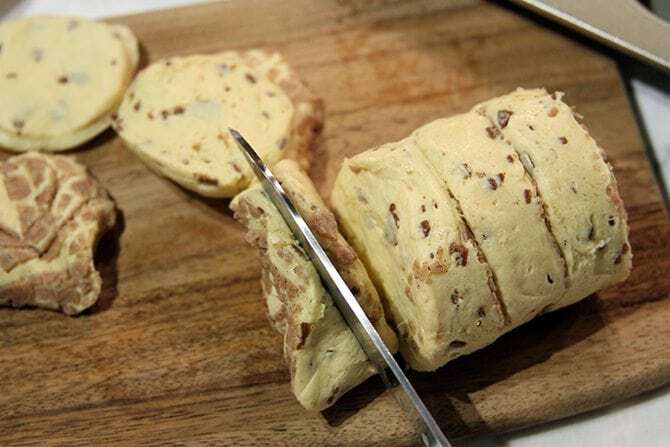 Open the cinnamon rolls and slice each one in half across, making two thinner cinnamon rolls. Press a cinnamon roll half in the bottom of each well in the muffin tin and about 1/3 of the way up the sides. 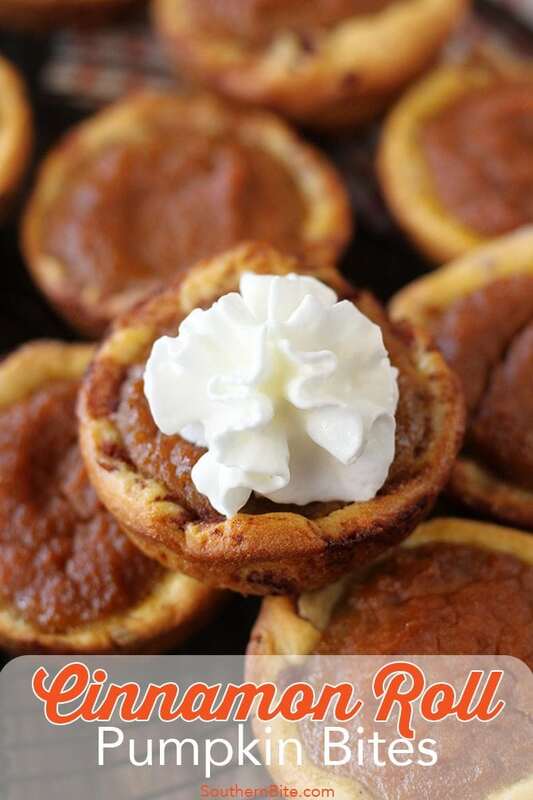 In a medium bowl, combine the pumpkin, egg, sugar, pumpkin pie spice, and vanilla. Scoop a heaping tablespoonful of the pumpkin mixture into the center of each cinnamon roll. Bake for 18 to 20 minute or until the cinnamon roll crust is a deep golden brown and the pie filling is set. Cool on a wire rack. Repeat with the remaining cinnamon rolls and filling. Once cool, top with whipped cream or the cinnamon roll icing, if desired. 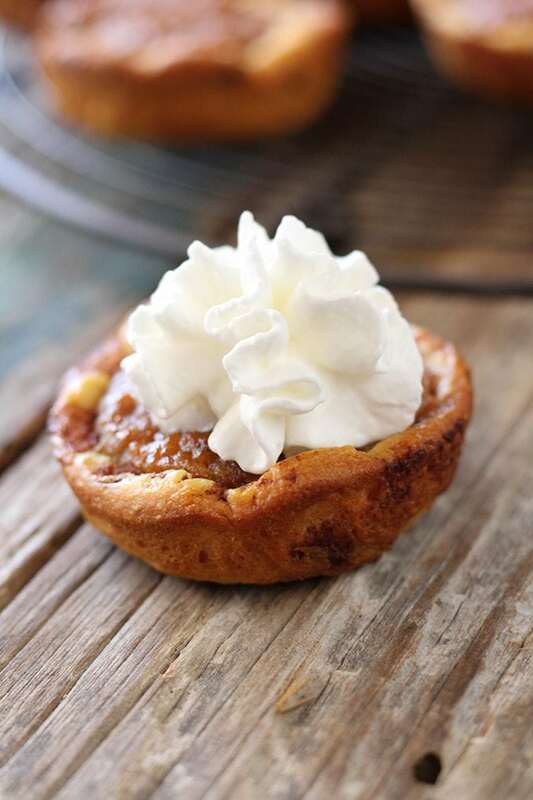 These Cinnamon Roll Pumpkin Pie Bites look like a perfect little sweet treat for fall! And the cinnamon roll crust would be a first for me! Thanks, Maribeth! They end up a little crunchy and the cinnamon is the perfect complement! Gotta try this one soon …. like tomorrow! Ha! Hope they turn out delish! Oh, yum! They look so good! Are these made in a mini or standard pan? It’s a standard muffin pan. I can’t be certain since I’ve never made them that way, but I would go with 8 to 12 minutes to start. you get “18” pumpkin pies out of that?? The recipe states 18. Thank you for something i may have missed. It’s simply a typo. It should be 16. We had breakfast tonight at church for our small group , I made these and everyone pounced immediately for the recipe ! Not only delicious but so cute !!! SO glad everyone enjoyed them, Sherry! 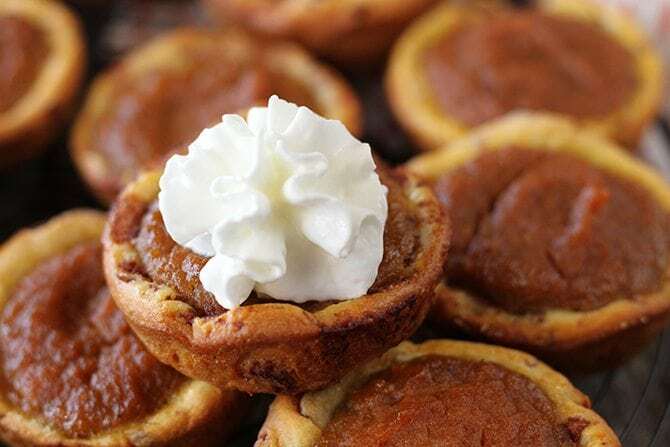 Hi Stacey – could these be baked & frozen (w/o whip cream) ahead of time & then removed to thaw/warm in oven or microwave on Thanksgiving? Just trying to save a little time in preparations . 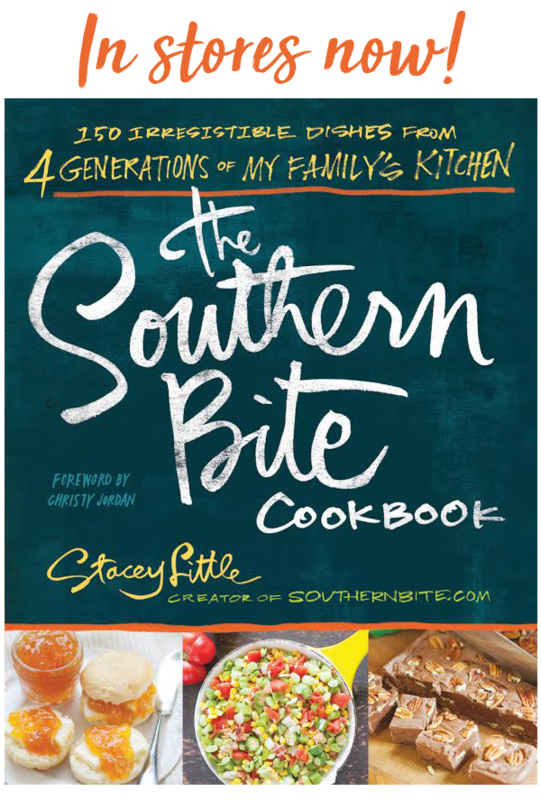 . .
Just love receiving your recipes . . . yummy & easy! Absolutely! The crust might be a little softer after the process, but they’ll still be delicious! Popping them in a super hot oven will help. They freeze okay, but the crust loses some of it’s crispness.